The Beauty Without Cruelty Swan logo encapsulates the brand mission, being associated with the deities of healing waters and the sun. Known for their grace and beauty the swan is symbolic of their mission to deliver beauty by the intertwining of natural elements in their product offering. Beauty Without Cruelty is committed to being at the forefront of ingredient consciousness as articulated by their founder Muriel, The Lady Dowding in 1959. Beauty Without Cruelty is based in Suffolk England and is a certified member of the Vegan Society and Cruelty Free International. Muriel, The Lady Dowding (1908-1993) was born in London. Throughout her life, she was dedicated to the rights of animals and pioneer in the development of cruelty free cosmetics, and products suitable for vegetarians. She campaigned in the 1950s to persuade the leaders of the cosmetics industry to change their animal ingredient policies which included wide use of spermaceti from whales and musk from the musk deer. This failed and her determination to provide a constructive alternative led her to set up the Beauty Without Cruelty Cosmetics business. To this day the business continues as a pioneer in ingredient consciousness. Beauty Without Cruelty ingredients policy is to offer a 100% commitment that customers can relate to. 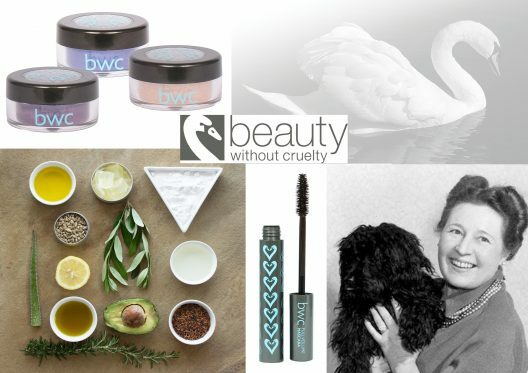 As the founder of the 100% cruelty free cosmetics business that has been brand leader for over 50 years, the brand has an enviable reputation for progressive incorporation of the best natural ingredients. Their unique formulations carry a dedicated focus on enhancing a healthy and nourished skin. 100% of the Beauty Without Cruelty range is vegan and vegetarian, and free from fragrance, paraben, carmine, PEG, Toluene, Formaldehyde, Phthalate and with Talc Free Powders. Here at Green Parrot we love Beauty Without Cruelty as it represents our values! We have a wide range of products including Mascaras, Natural Infusion Moisturising Lipsticks, Soft Natural Lipgloss, Eye Pencils, Concealers, Ultimate Natural Foundation, Mineral Duo Blushers, Attitude Nails, and Mineral Loose Eye Shadows. We have a full range of testers, so do drop in and have a play!